In the Philippines, the company operates the Malampaya Deep Water Gas-to-Power Project which is one of the country’s largest and most significant industrial endeavors that harnesses indigenous natural gas from the deepwater reservoir northwest of Palawan. Malampaya provides 2700 megawatts of electricity which accounts to 40 to 45 percent of Luzon’s power generation. 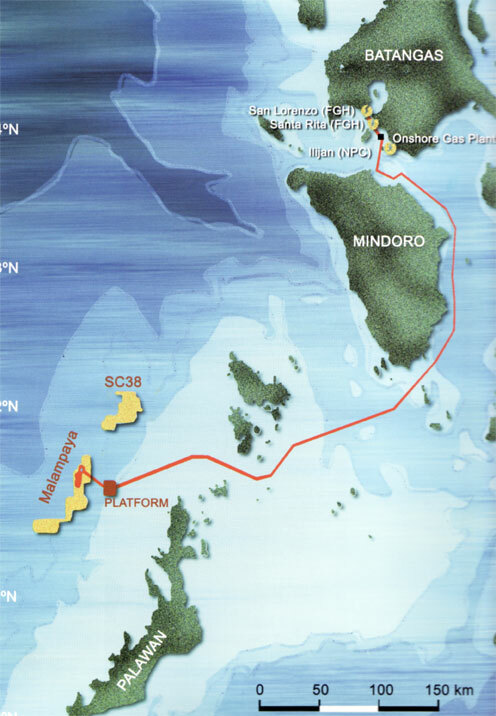 The Malampaya Deep Water Gas-to-Power Project is now embarking on its next stages of development, the Malampaya Phases 2 and 3 (MP 2 and 3). MP2 involves the construction of additional wells that, together with MP3’s additional gas platform that employs innovative deepwater technology, will safely and efficiently sustain the level of gas production from the Malampaya gas field. Spearheaded by the Philippine Department of Energy, the Malampaya Gas Project is operated by Shell Philippines Exploration, B.V. (SPEX) on behalf of Joint Venture partners Chevron Malampaya LLC and Philippine National Oil Company (PNOC) – Exploration Corporation (EC). SPEX manages Shell’s upstream business in the country, and specialises in the exploration and development of cleaner sources of energy to sustainably power the Philippines’ surging energy demand. 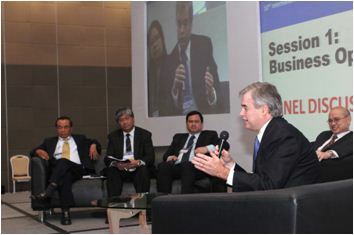 Other than natural gas from Malampaya, the benefits of introducing Liquefied Natural Gas (LNG) for Philippine power generation was tackled in the forum by Scott Porter, Shell Eastern Petroleum Senior Business Development Manager. The LNG import facility being pursued by Shell Gas and Energy Philippines Corporation (SGEPC) will complement the Malampaya Deep Water Gas-to-Power Project in enforcing the natural gas advocacy in the country. The Memorandum of Agreement with the Department of Energy was signed last June, 2012 for a Technical Feasibility Study on the Liquefied Natural Gas plant to be built in Batangas, Philippines. The LNG Project’s environmental compliance certificate (ECC) has been secured and the Project has entered its front-end engineering design phase. 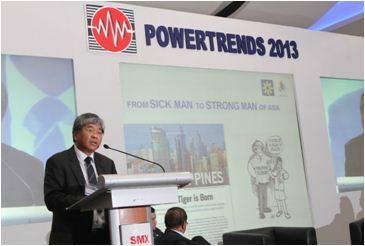 With energy closely entwined with the economy, the Philippine Department of Energy (DoE) highlighted during PowerTrends that the development of an energy portfolio with a wide-ranging energy mix is essential in driving the government’s Energy Reform Agenda that has the overarching goal of ensuring energy security and energy access for more. DoE Undersecretary Loreta Ayson, speaking on behalf of Energy Secretary Carlos Jericho Petilla, affirmed the vital role of the energy sector in the government’s pursuit of economic growth and promotion of countryside development. “The constant search for energy supply does not concentrate on power alone as it is only a component of the energy sector’s entirety. The government is forward-looking and stresses its program on indigenous energy development specifically for petroleum resources like oil, gas and coal, and renewable energy,” Ayson said. Sebastian Quiniones, Shell Philippines Exploration, B.V. (SPEX) Managing Director discusses how Malampaya provides sustainable energy to Filipinos. At the Powertrends open form, in photo are (from left to right) Rufino B. Bomasang, Philippine Chamber of Coal Mines, Inc. (PHILCOAL) Chairman, Sebastian Quiniones, Roger Buendia, Aboitiz Power First Vice President for Trading and Marketing, Session Chair Dr Francisco Viray, Trans-Asia Oil and Energy Development Corp. President and CEO, and Scott Porter, Shell Eastern Petroleum Pte, Ltd Senior Business Development Manager.